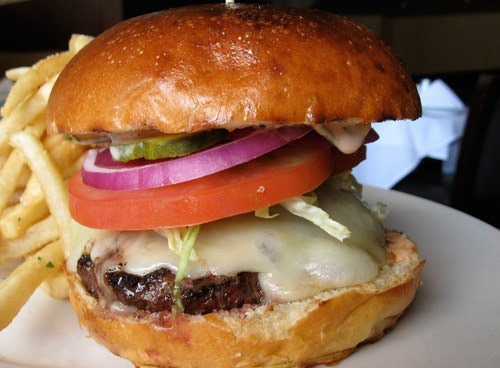 From A Hamburger Today: your guide to regional hamburger and cheeseburger styles. 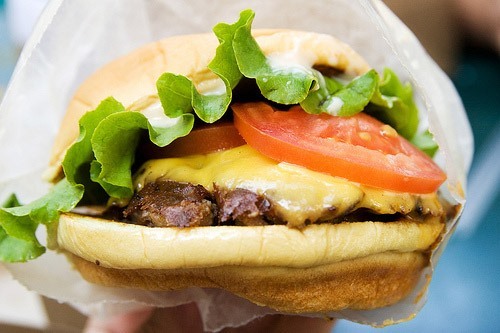 What red-blooded American doesn't love hamburgers? Think you're an enthusiast? Think again. There's more to the burger than the Big Mac (though the Big Mac is included in this guide, of course). Fast Food Style Burgers: "...burgers that seem to take their inspiration from fast food burgers but that are somehow better—either in terms of ingredients or preparation or both. Fast food–style burgers will be made with fresh-not-frozen beef; use the freshest, crispest produce; and generally come from a sole location or, at most, a small, local chain." In 'N' Out might fall into this category. 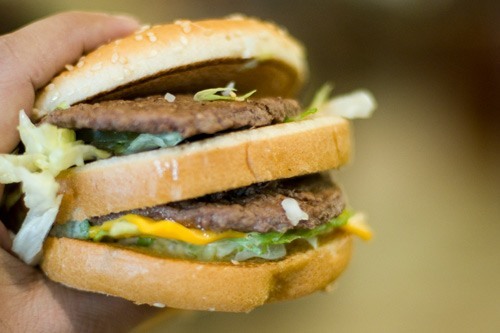 Fast Food Burgers: The Legendary McDonald's Bic Mac. Enough said. 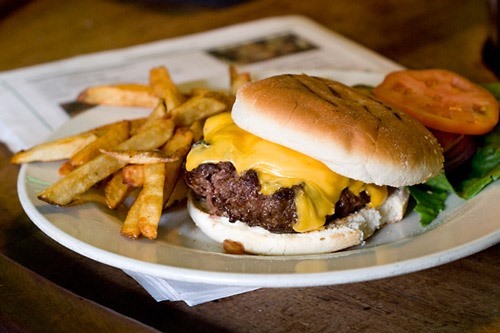 Pub Burgers: "Large patties usually no smaller than 8 ounces, often 10 ounces or more. Typically ovoid in shape rather than flat. Most often seen in pubs, where they're often broiled." Sliders: "..a slider is something very specific. 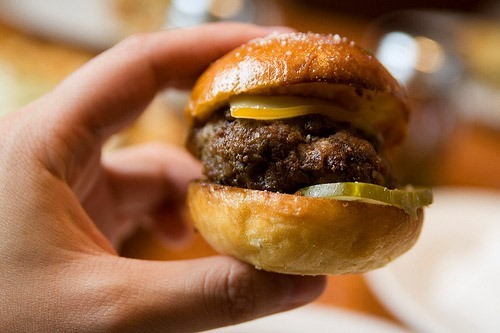 It is not just a mini hamburger. 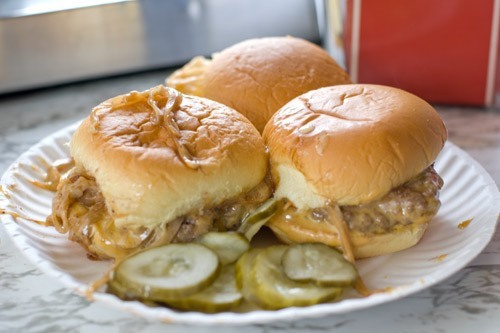 It's a thin, thin slip of beef, cooked on a griddle with onions and pickles piled atop patty. The steam from the onions does as much cooking as the griddle. The buns are placed atop the onions, absorbing the pungent aroma and flavor." Mini Burgers: "Any diminutive burger that does not meet the definition of slider (see above), often because it has been grilled or broiled rather than steam-griddled and almost always because it lacks the bed of pungent onions." Steakhouse Burgers: "The steakhouse burger is defined more by where it's served than by any other unifying characteristics. 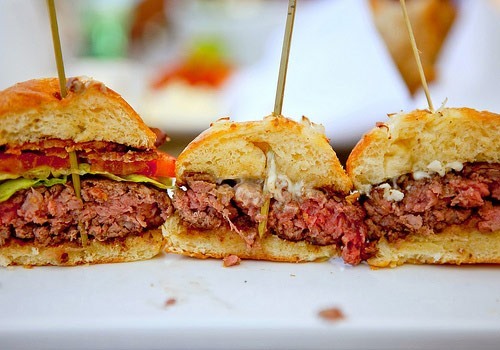 Steakhouse burgers are usually made from the beef trimmings of the various steaks on hand and as such are ground from prime, aged beef. They're almost always massive, hearty burgers on par with pub-style burgers. And they're often broiled." 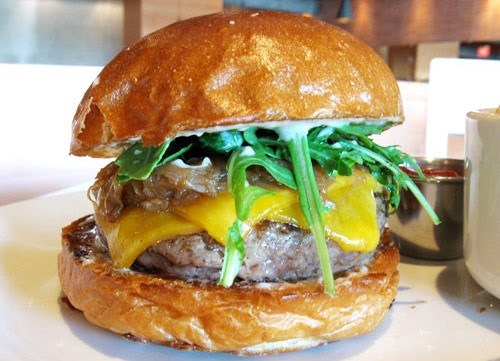 Kobe/Wagyu Beef Burgers: "Kobe burgers are most often seen in mini-hamburger form, usually as an "appetizer" plate of three burgers, because A) this expensive beef is more affordable in smaller, sharable portions and B) the Kobe/Wagyu and the min-burger/"slider" trends seem to have peaked at the same time." Fancy-Pants Burgers: Fancy burgers could include any of these characteristics: "..a big-name chef or restaurateur, or a celebrity chef, brioche buns, 'house-made' anything, artisanal or farmstead cheeses, aioli, remoulade, microgreens, designer bacon, etc. etc." Megaburgers: "Any burger whose sole purpose is to break a record—most often weight, but sometimes price." 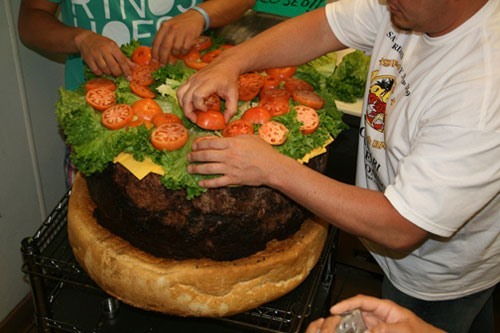 Extreme Burgers: "...caloric overkill, stuffing as much gut-fattening, artery-clogging toppings on the hamburger sandwich as possible." 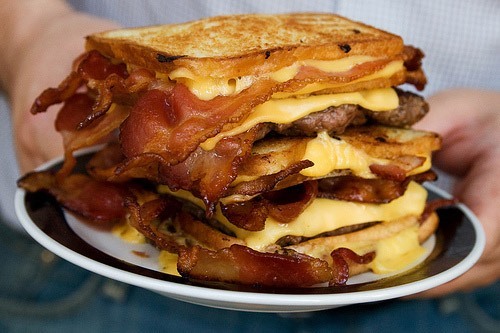 Stacked Burgers: "Anything with two or more patties. 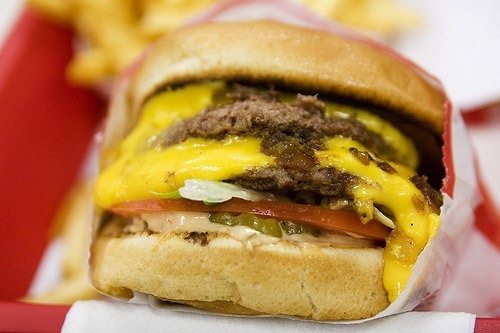 Popular examples include In-N-Out's Double Double, Wendy's Double, or Burger King's Stackers." Deep Fried Burgers: Last but not least. "The patties of these burgers take a dunk in hot, hot oil. Variations exist that include entire burgers—bun and all—being dipped in batter and deep-fried, but they're rare." For even more crazy regional burger styles, click through. Inspired? Pick up some burger cooking tips here.